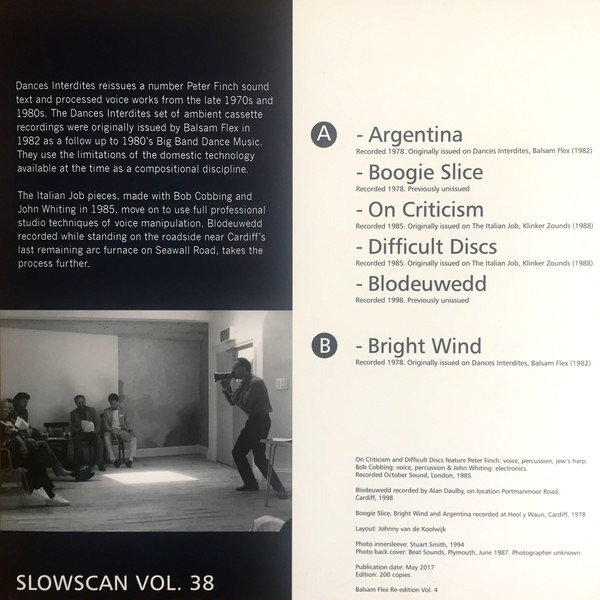 Slowscan vol. 38 is an expanded re-issue on vinyl of the Dances Interdites tape originally released on Balsam Flex, a London-based label run by artist Erik Vonna-Michell in the late 1970s - early 1980s. 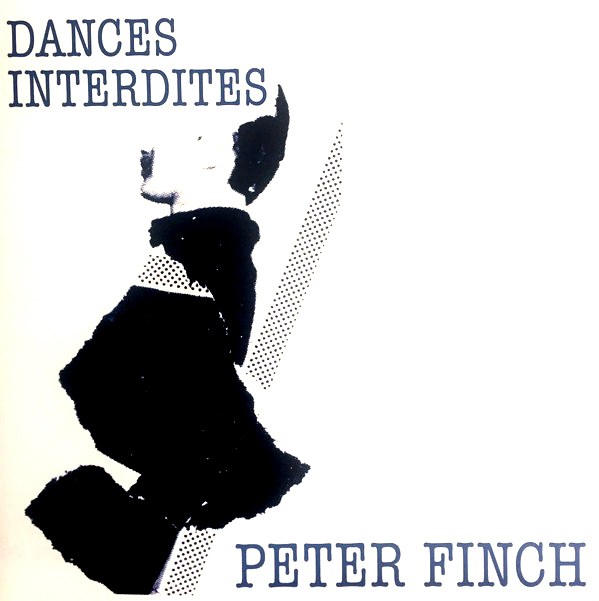 Peter Finch is a poet and short story writer living in Cardiff, Wales. He works in both traditional and experimental forms and is a performer on the reading circuit. In the sixties and seventies he edited the ground-breaking literary magazine, second aeon, exhibited visual poetry internationally and toured with sound poet Bob Cobbing. Many of the Balsam Flex cassettes brought poets connected with ‘Writers Forum’, a small press, workshop and writers’ network founded in 1963 by Bob Cobbing, Jeff Nuttall and John Rowan. After Cobbing’s death in 2002 ‘Writers Forum’ has been directed by poet and artist Lawrence Upton (1949).